There’s a reason all that hard squash is in the produce section: It’s FOOD. As beautiful as it is, it’s not over in home décor. 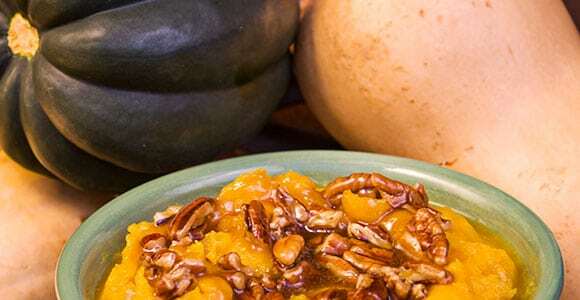 Hard squash is delicious and versatile food that has graced wintertime tables for hundreds of years. When the soft-skinned vegetables of summer are gone, hard squash covers the cold months. With a shell meant to last all winter, its heart is soft and sweet. Don’t bypass these delicious vegetables just because they’re beautiful.